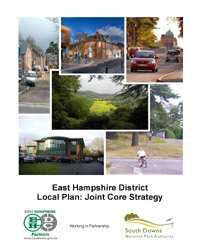 The Joint Core Strategy (East Hants shared Local Plan with the SDNP) has been completed and is now available for public consultation. This provides the long term planning framework for the district to 2028 and contains policies against which planning applications will be assessed. For us the most important of these is to preserve local gaps and protect areas like White Dirt Farm from development, and sets the overall development needs for the district by balancing the need to attract investment with the protection of important nature, buildings and the well-being of local communities. The changes to the Joint Core strategy are out for consultation from 9th August to 20th September. All comments received will be sent to the Planning Inspector for consideration through the examination process. The Examination by the inspector is scheduled to reconvene at the end of October. 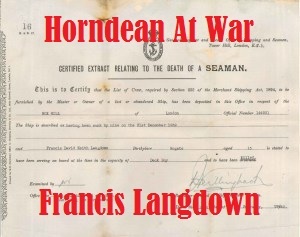 Issues which affect us in Horndean are the large number of new houses that are required to satisfy not only our own needs for population growth, but also the overspill from the South Downs National Park where housing is limited due to the environmental status of the park. 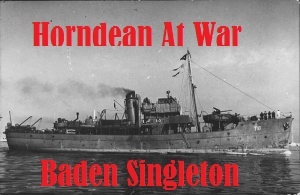 1 – Horndean (The Parish Of) had 5,240 homes in the 2011 census. 2 – We are being asked to take on 1,190 homes between 2011 and 2028, a 22.7% increase. You might have strong views that this increase is to great, is not sustainable for a collection of villages with poor public transport, no station and few employment sources. 3 – The percentage increase is greater than Petersfield, or Alton which you might note are far more sustainable towns than our collection of villages, and better suited to development as they have good local sources of employment. 4 – There are strong opinions that the South Downs National Park authority has not allowed for sufficient housing to address its own needs and that this must be increased. You might strongly agree with this view, and that it is not appropriate for adjacent towns to take any excess burden to preserve the idealogical views of the park who have not got the right balance of environmental concerns and housing needs of their own. 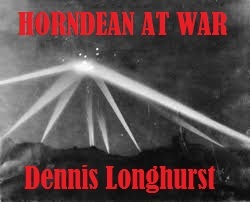 Please can you take 10 minutes to email the team and let them know your views on the housing numbers for Horndean, and I hope the notes above help.